WPR No. 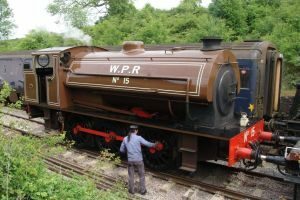 15 was built as an Austerity tank engine by Andrew Barclay in 1945 for the Ministry of Defence. 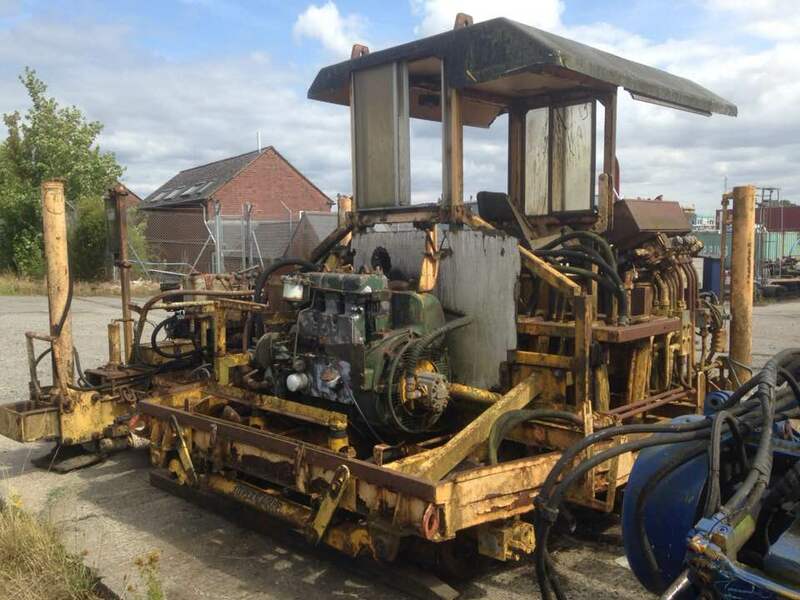 In 1964 it was sold to Wemyss Private Railway (WPR), a private estate of tracks linking local coal and mineral mines in Fife to the ports of Leven and Methil. 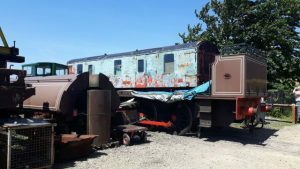 In 1970 when WPR closed, the engine as sold for scrap to T Muir’s scrap in Kirkcady, where it remained rusting away until bought in 2003 for preservation. The loco first ran again in December 2007 at Gloucestershire Warwickshire Railway (GWSR) and in 2008 it was named ‘Earl David’ in honour of the current Earl of Wemyss. 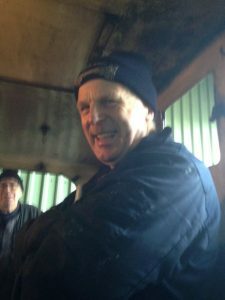 The video below shows it in operation at GWSR. 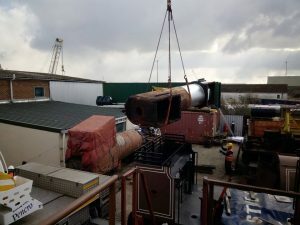 Since then the loco ran for a few years at East Lancashire Railway and more recently at the Avon Valley Railway, but now needs some work to it’s boiler and so has been brought to Sharpness for our volunteers to help lift the boiler, where it’ll be sent away for repairs. 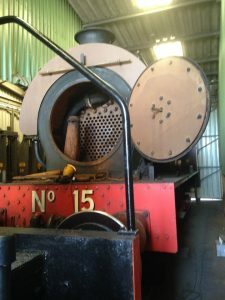 The main task on No 15 this winter has been to concentrate on the boiler overhaul and in February the boiler was repositioned in order to gain better access to the inside of the firebox. 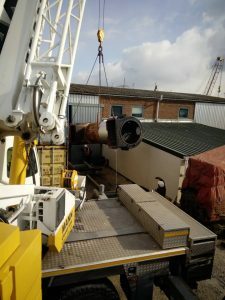 Lifting a boiler is no easy job and involved a hired in crane. 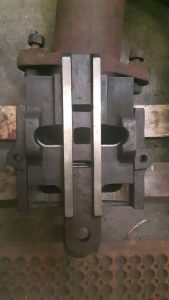 The milling of the regulator value was finished off, which involved milling the main valve ports connected to the steam pipe (left), and the two sliding portions (right), which consists of the main valve (with the larger holes) and the pilot valve (with the smaller holes). 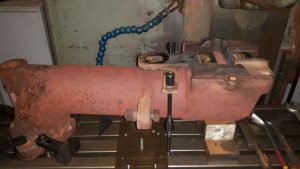 One of the challenging jobs recently has been to re-machine the ports of the regulator valve, which were not running true. 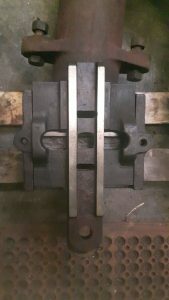 Paul Grinfields and Dave Mullins put together a special rig to hold the regulator value in the exact position during the milling operation. VBR is so lucky to have such experts at engineering that they can take on such a complex job. There is no room for error on this one. 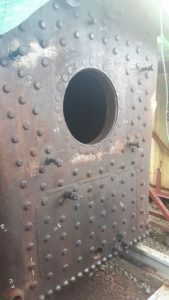 The boiler and firebox metal thickness has been measured (the white measurements) and where necessary new side stays are being made and fitted. 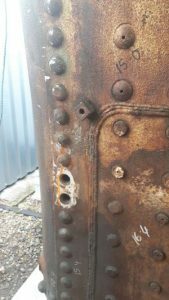 Damaged rivets on the lap joints are also being drilled out and replaced. 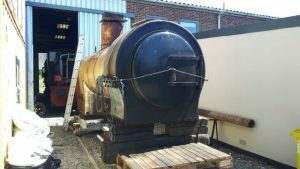 The boiler has now been lifted from it’s frames and placed on the new boiler trolley made by some of the volunteers, just outside the barn. The rest of the engine and it’s saddle shaped water tank (hence why it’s called a saddle tank engine) has been moved to where the class 14 diesel was kept. Unfortunately this has been relocated to another site due to lack of space. 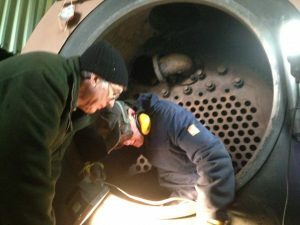 The longitudinal stays, which are large metal rods that run from the firebox tube plate to the front tube plate, have been removed and the inside of the boiler has started to be descaled. 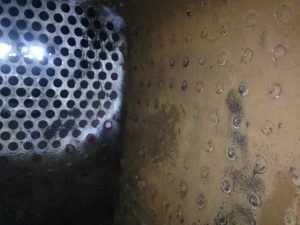 The boiler has undergone ultrasonic plate thickness testing which show very little wastage in the metal. 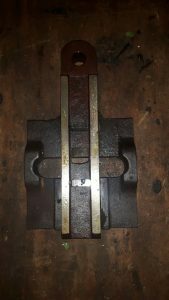 Worn out stays, in particular on the throat plate, are being drilled out, ready for new ones to be made. 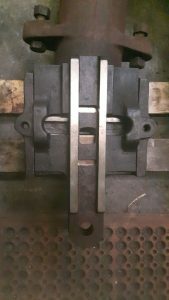 The frames on the loco have been cleaned and are being repainted and the cylinders, located inside the frames, have been cleaned up. 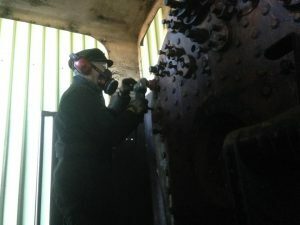 Work continues to strip the boiler fittings and prepare the loco for it’s boiler lift this month, despite some very cold conditions in the barn at Sharpness. 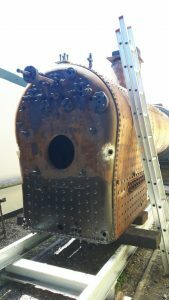 The backhead has now been stripped and is being cleaned up whilst still in situ. 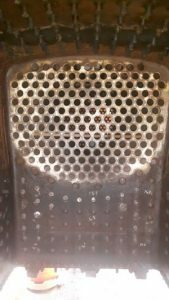 The grate has been removed and the firebox is being cleaned. 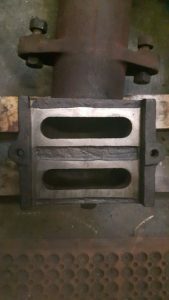 The steam fittings in the smokebox are slowly being removed. 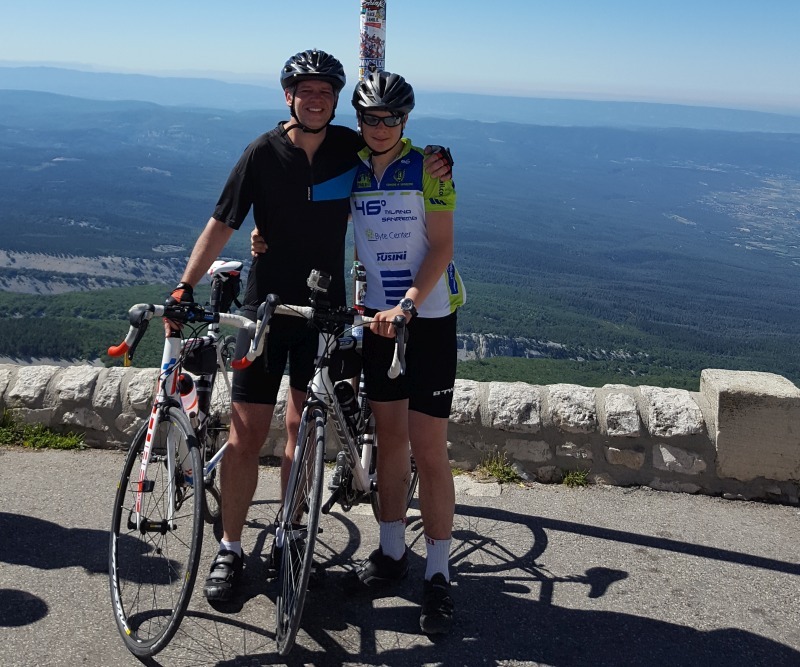 After a good few years of use many of the nuts are quite a challenge to undo due to harsh conditions these components are exposed to, but the team persevere. 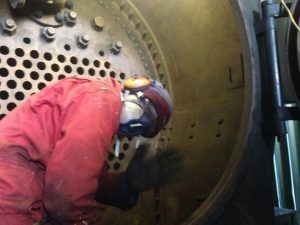 Work started in December, stripping the Austerity’s boiler fittings, both on the backhead and in the smokebox in order to prepare the loco for the boiler to be lifted. 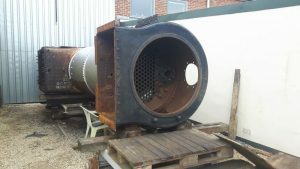 The boiler will then be sent away for an overhaul whilst the volunteers at Sharpness concentrate on overhauling the rest of the engine. 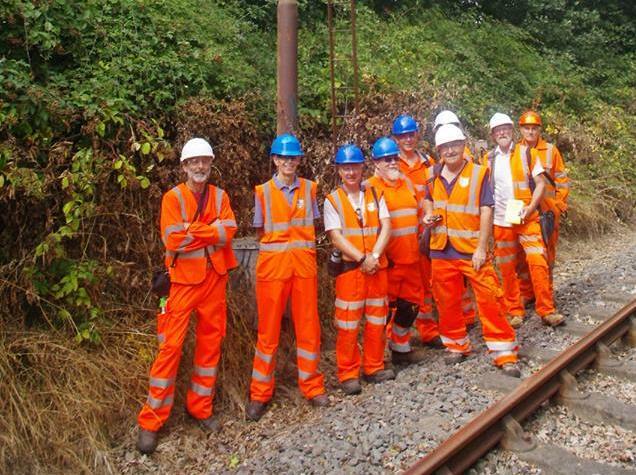 Frank, Peter P and Denzil have the honour of being the first to work on this loco at Sharpness. 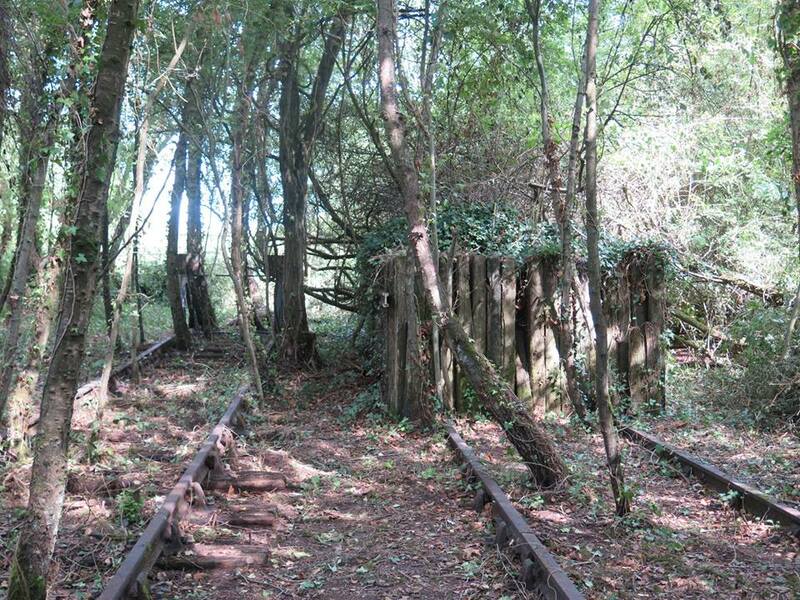 © 2019 Vale of Berkeley Railway.